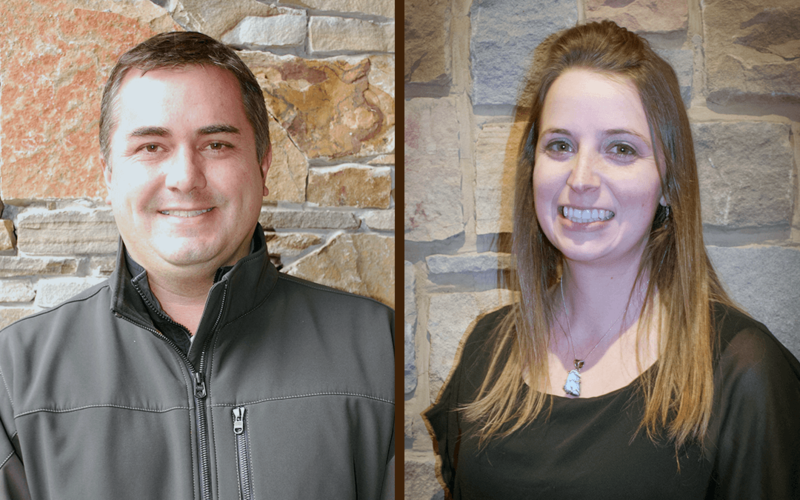 We are thrilled to announce the promotions of Patrick and Abi in the Golf department. They have advanced through progressively more responsible positions and play key roles. Please join us in welcoming and congratulating them on their promotions. Prior to joining The Sporting Club Golf Maintenance team in 2012, Patrick served as the Assistant Golf Professional at Wild Dunes Resort in Charleston, South Carolina, and Palmetto Dunes Resort on Hilton Head Island. Born and raised in the Greenbrier Valley, he has a love and appreciation for the area and all it has to offer. Patrick holds a B.S. in Business Administration and recently completed Ohio State University’s Golf Course Management Program. Over the last year, he has been instrumental in overseeing the restoration work on The Snead course and is dedicated to providing our membership with an excellent golfing experience, leading to his promotion to Golf Course Superintendent. His time working in the golf industry, as well as playing the game, has provided him with invaluable experience and knowledge that allows him to provide the quality of service The Club strives to attain. “Abi” was born in Peoria, Illinois, but raised in both Kentucky and the mountains of the Dominican Republic. She graduated from Berea College with a major in biology and loves science and travel. After her husband graduated from West Virginia School of Osteopathic Medicine, they bought a home in Lewisburg where he began his first year of residency for family medicine at Greenbrier Valley Medical Center. Abi is very excited and thankful to be working at The Sporting Club and looks forward to seeing everyone in the spring! 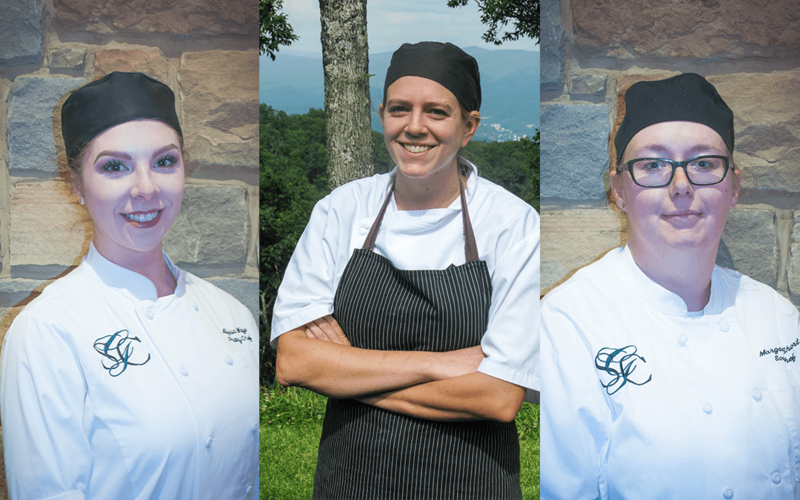 Please join us in congratulating three remarkably talented culinary team members in their new leadership positions at The Greenbrier Sporting Club. Alyssa, born and raised in Ronceverte, West Virginia, found her love of pastries at a very young age. Whether it was her self-taught-baker grandmother, or her trained-chocolatier and candy-maker Nana, she was always encouraged to learn and experiment in the kitchen. She officially began her pastry career in 2012, when she attended Pierpont Culinary Academy in Fairmont, West Virginia. In 2013, she completed her pastry internship at The Greenbrier Sporting Club and graduated in 2014 with honors. She promptly returned to The Sporting Club, accepting a full-time Pastry Assistant position. 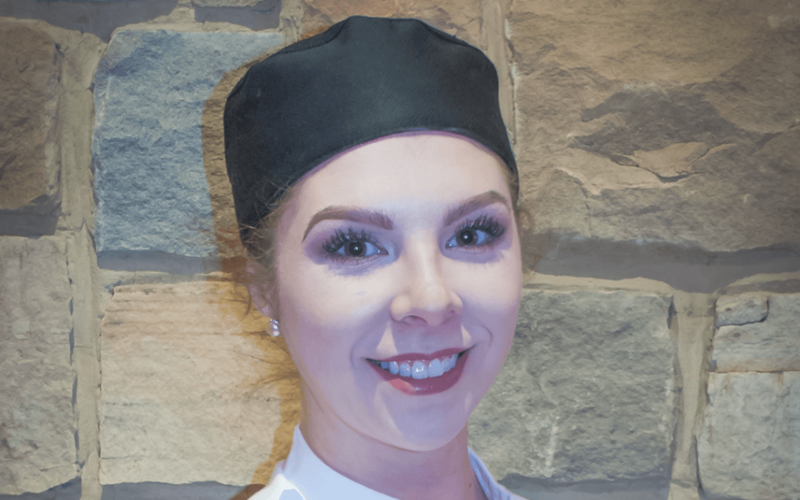 Alyssa honed her skills under the direction of The Club’s Executive Pastry Chef, Amy Mills, receiving a promotion to Pastry Chef, then Head Pastry Chef in the late fall of 2017. With a keen attention to detail and a love of all things sweet, she is extremely excited to take on such an amazing leadership role. She can often be heard singing happily in and around The Club’s Pastry Kitchen, but in her spare time, can be found reading a book in a quiet place or spending time with her family. 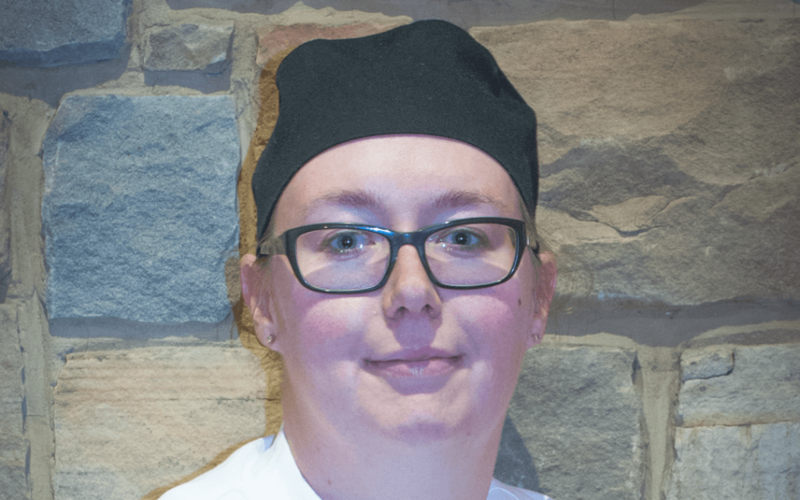 An excellent mentor and teacher, Chef Hannah sets the tone for consistency and excellence within her team. She brings a wealth of culinary knowledge and experience to the brigade. Her creativity and talent have positively impacted the culinary team and membership for a number of years throughout the positions she has held. Hannah grew up in the foothills of the Appalachian Mountains in Albemarle County, Virginia. Growing up in a family of great southern cooks, as well as having the opportunity to travel throughout the United States as a child, gave her a love of fine ingredients and various regional cuisines. During high school, she began her career in foodservice as a dishwasher at the C&O Restaurant in Charlottesville, VA. It was there she discovered a passion for fine dining and began her career as a chef, eventually being promoted to Sous Chef at the C&O. She came to The Greenbrier Sporting Club in 2007 in order to assist in the opening of The Summit restaurant and has held various leadership positions at The Club over the past ten years. 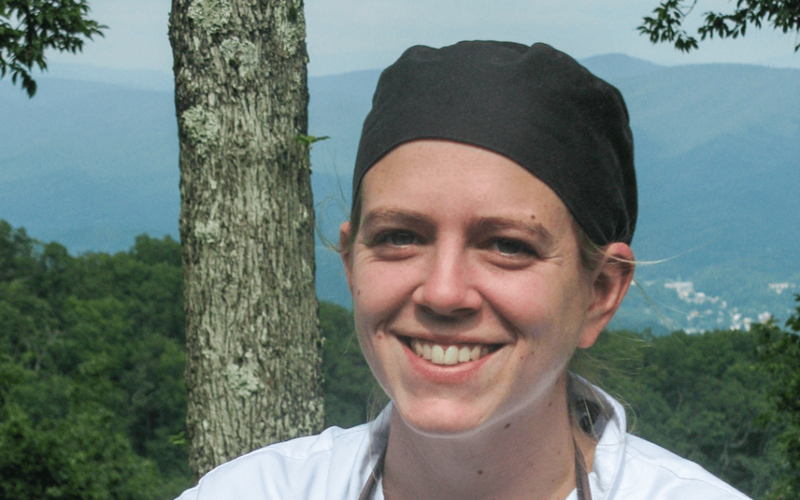 Living in Greenbrier County has nurtured Chef Hannah’s love of the outdoors and locally harvested ingredients. Outside of work, she can usually be found spending time in the woods and streams of West Virginia with her two dogs. Chef Maggie grew up in the small town of Meadow Bridge, WV. During high school, she attended the culinary program at Fayette Plateau Vocational School and, after graduation, accepted a position in Chicago, Illinois, with the All-American Picnic Company. In July of 2000, Maggie’s passion for food really blossomed after accepting a culinary position at The Greenbrier resort and spending four years working and developing her skills under the tutelage of Master Chef Peter Timmins. In the winter of 2002, she ventured to Perry, Iowa, and worked for a few months at the historic Hotel Pattee under Executive Chef David North, before returning to The Greenbrier. In 2004, Maggie came to work at The Greenbrier Sporting Club where she started out as a line cook and then worked her way through the ranks to the position of Summit Chef. In 2010, though, she left The Sporting Club for a while to open a daycare center in her home to spend more time with her four young children. In the fall of 2017, however, as her youngest child entered school full-time, she returned to The Greenbrier Sporting Club and accepted her current position of Lodge Sous Chef. In her time away from work, Maggie enjoys being with her husband, Daryll, and their four children; Kailee, Trevor, Kelsie, and Khloe. Over the past several years, The Greenbrier Sporting Club, the luxury residential community at The Greenbrier, has seen a steady rise in construction. As buyers continue to navigate the market with an eye toward low rates and a generous purchasing climate, more and more are turning to building. In many ways, purchasing a homesite and building your dream home has a number of advantages, the first being finding exactly what you want as a homeowner. Buyers are able to lock in the views and locations that best fit their tastes. With available homesites spanning the resort, The Sporting Club is able to offer everything from large mountain estates to creekside properties with views of the historic Old White TPC course. The second advantage, and often tipping point for buyers, is the ability to fulfill a vision that is wholly theirs. The owner is able to determine exactly what amenities work with their personalities. They choose their own finishes and décor and don’t feel handcuffed. 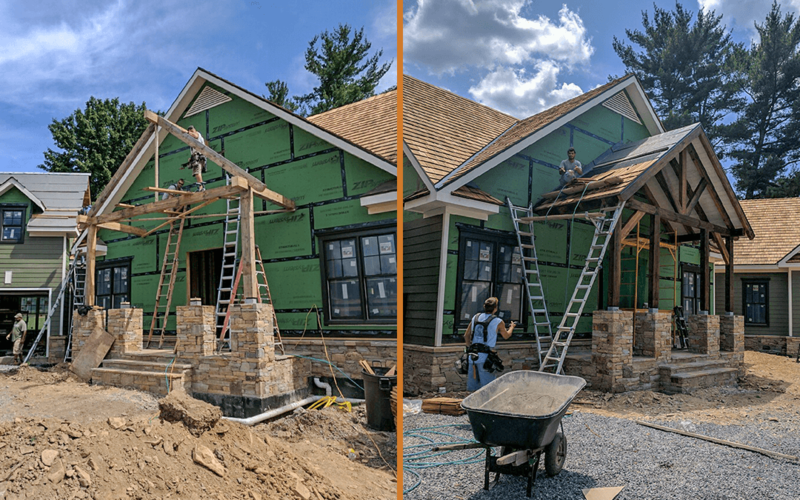 This beautifully crafted home features exterior details and finishes such as natural stone & wooden shake siding, a block foundation with stone veneer, and cedar shake roof. 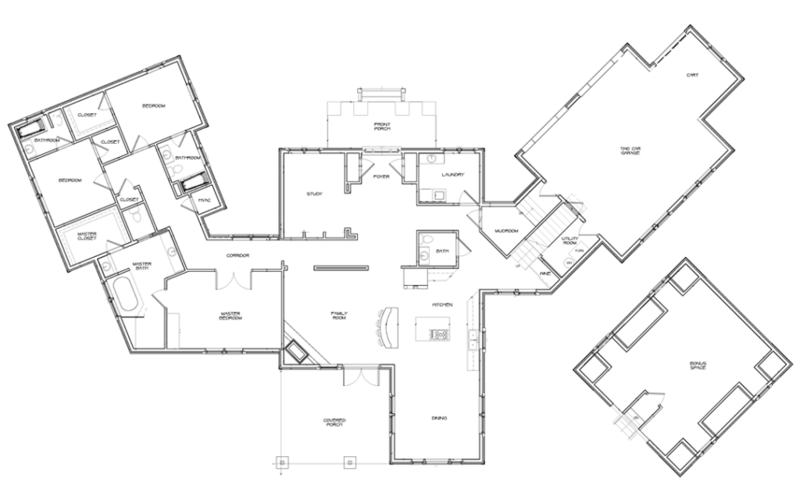 Other features include vaulted ceilings in the foyer and great room, and a 2-car attached garage with golf cart stall. Built to enjoy mountain and fairway scenery, while being near to private Club and Greenbrier resort amenities. Tony Mamone, Principal and Owner of The Pinnacle Group, Inc., a local “Total Concept” builder that oversaw the construction of the custom home, says his company was honored to be chosen for this special property. Building a home at The Greenbrier Sporting Club involves a number of principals, from architects and builders to landscape designers. Each of these firms are carefully vetted and approved by the development team and represent the finest professionals in the industry. Many homebuilders use local artisans and craftsmen when customizing their home—everything from hand-hammered copper range hoods to stained glass doorways and transoms. While some buyers hesitate at the thought of going through the building process because of the time and commitment, The Sporting Club and its approved builders have developed an efficient system over the last 18 years, especially when dealing with absentee owners who don’t have the extra time to visit the resort during every step of the process. 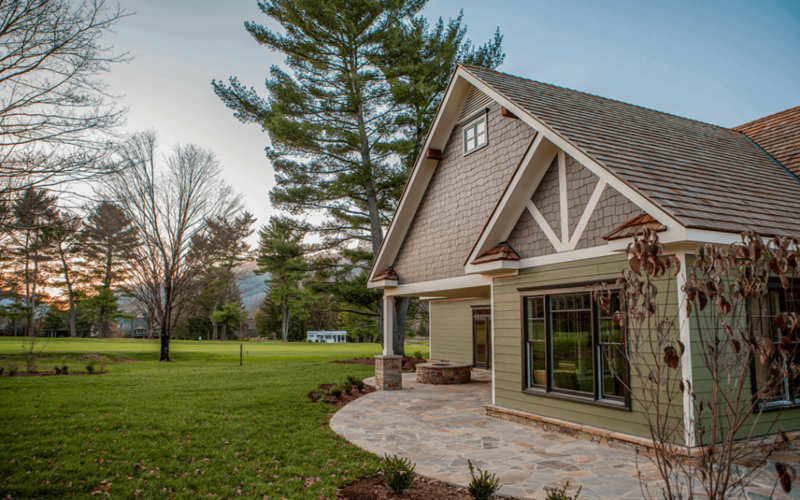 So whether you’d prefer a vernacular mountain home or a classic estate with views of the resort, The Greenbrier Sporting Club looks forward to assisting you in building your next dream home.